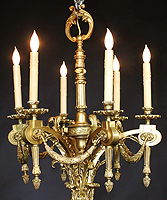 A French Louis XVI Style Gilt Bronze Six-Light Chandelier. 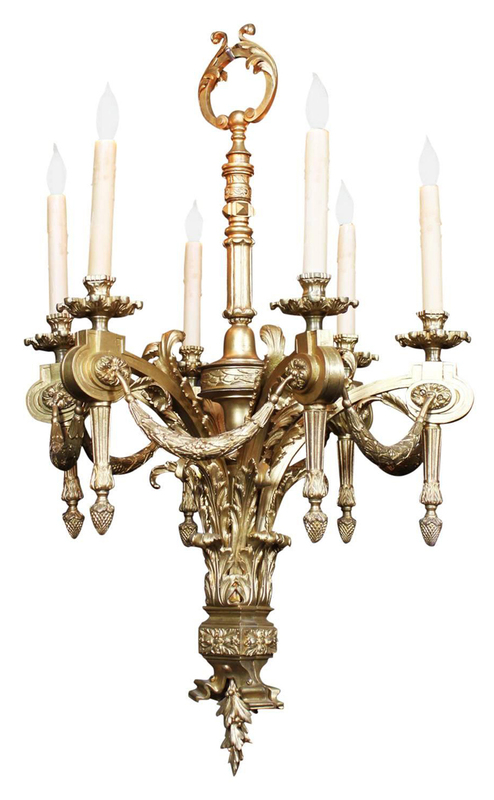 Each candle arm conjoined with garlands above a cartouche ending with an acorn. 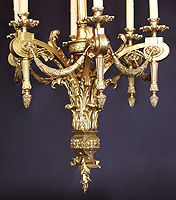 The center stem with a floral loop all above a foliage and acanthus base, Circa: Paris, 1900.